So I finally got my freaking shield! It’s the Looking For Raid version, but it’s a big upgrade over the Ward of the Red Widow from Firelands! I’ve been doing LFR and Dragon Soul on normal for about 3 months now and this is the first time I’ve seen the shield drop. EVER. This event is doubly celebratory as I prefer the colors on the LFR version over the normal (and even heroic). 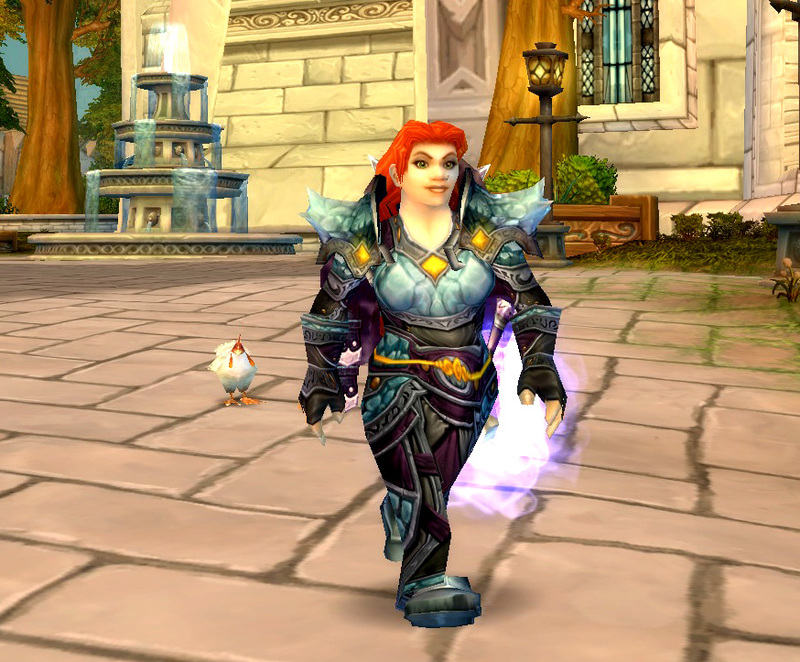 If I end up picking up the Timepiece on normal, I will definitely transmog it to the LFR version. 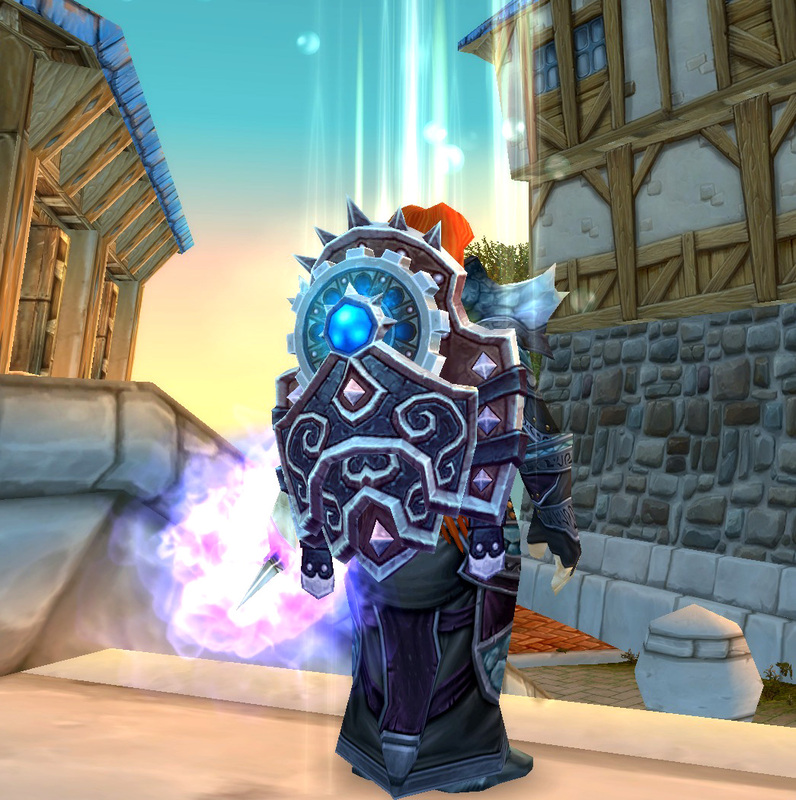 So immediately after raid… okay the next morning… I set out to create an awesome transmog set to match this beautiful shield. But where to begin? I recently realized that I’ve spent a small fortune in transmog fees. My gold stores had been getting low since my mount-buying binge, so I was not looking forward to spending more money on a mog set (that I may not keep longer than a week). What’s a dorflady to do? The costs are not exactly dirt cheap, so you will need to invest some time in acquiring the needed JP. I think my favorite parts of this set are the deep purples and blues and the fact that my favorite belt model fits in nicely, color-wise, with the shoulders. So sweet. This outfit matches that shield so well! I’m particularly enamored with the Ornate Belt in this ensemble. It looks so good over a “robe” (I refuse to consider anything made out of chainmail a real robe…) and brings out the gold in the shoulders quite well. Thanks! 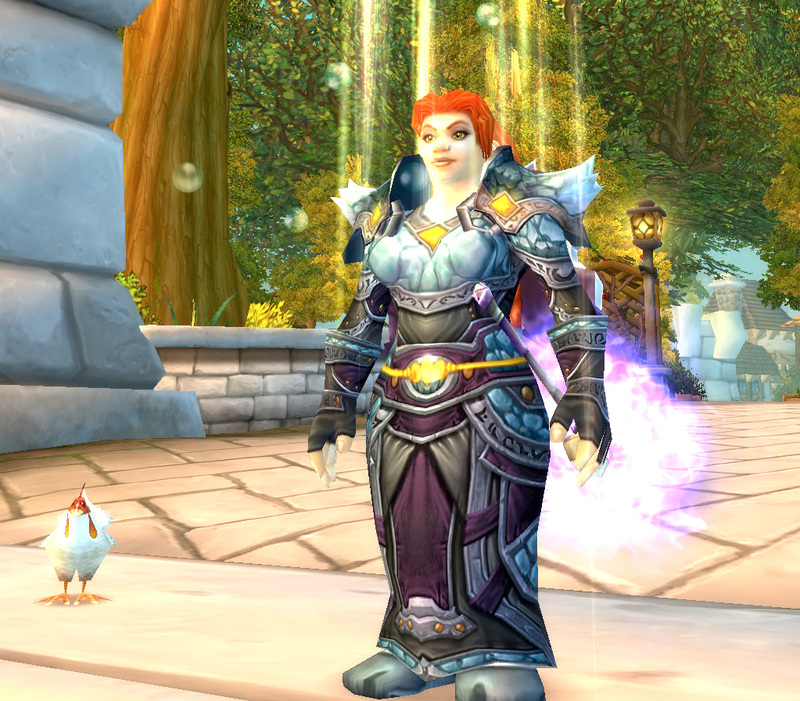 The Ornate belt looks great with lots of gear sets — it’s really very versatile. There are two gold versions and one red version of that model: Gold- Ornate Girdle/Masterwork Girdle; Red- Engraved Girdle. All are world drops (so you might be able to find them on the auction house). 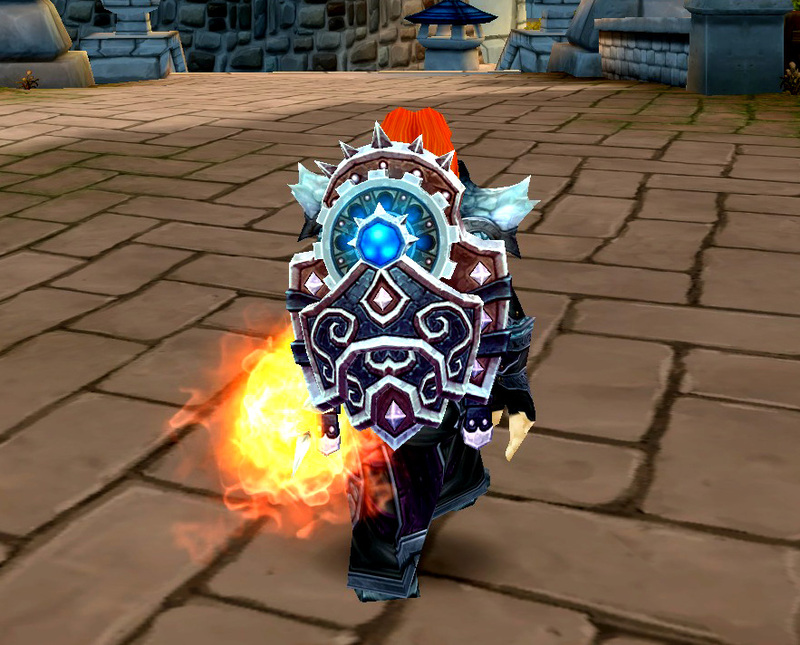 I’ve been looking for an outfit to match this shield for ages, and never could come up with one. Phenomenal looking set! Love the robe and to have built the outfit around a shield is beautiful.